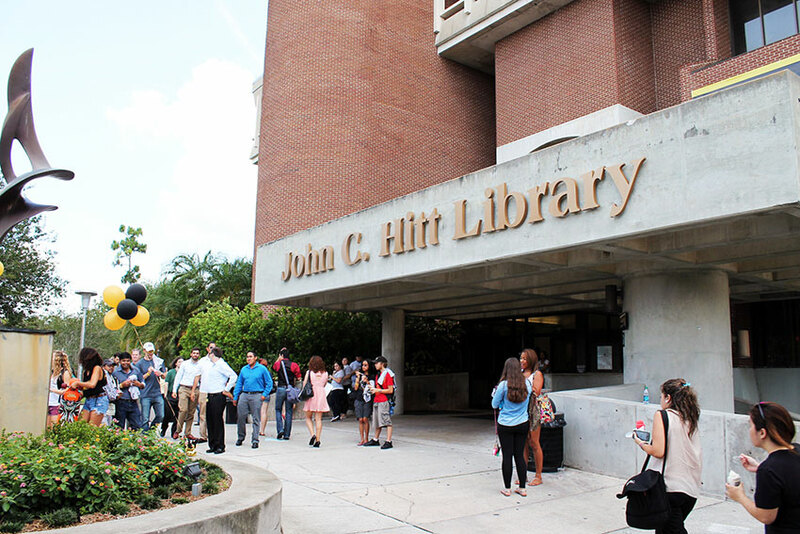 Yesterday afternoon, Tuesday, April 26, the John C. Hitt Library was evacuated and on lockdown for over an hour, beginning just before 4.00 p.m. Commendably, students reacted to the UCF Police Department’s request to evacuate with speed and calm. Police swept the library building thoroughly and found no threat to safety, and gave the “all clear” after 5.00 p.m. The John C. Hitt Library reopened, and remained open until 3.00 a.m.
Today, Study Day, the John C. Hitt Library is open from 7.00 a.m. to 3.00 a.m. Kram for the Exam begins at 8.00 p.m. tonight. Thanks to the UCF Police Department! Please report any threat to safety on campus directly to the Police.